Could Common Chemicals Tip the Epigenetic Balance and Program Someone for Obesity? 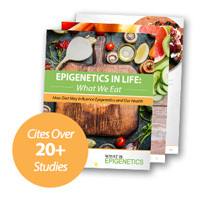 | What is Epigenetics? We’ve all heard of the risks of the BPA, or Bisphenol A, a chemical used to make durable plastics. BPA can be found in baby bottles, toys, water bottles, and the lining of food cans, but it has also leached into the water and air, travelling around the world. Research has shown this endocrine disruptor can cause adverse health effects during development and impact the reproductive system by mimicking estrogen, binding to nuclear estrogen receptors and even androgen receptors. It has also been connected to diabetes and cardiovascular disease. Only recently have we seen a shift towards “BPA-free” items, especially after the FDA banned the use of BPA in infant formula packaging. Phthalates, another popular chemical group thought to be endocrine disruptors, are found in soft, malleable plastics, cosmetics, and pharmaceuticals. Previous research has connected phthalates to numerous health issues, including asthma, ADHD, type II diabetes, autism spectrum disorder, and male fertility issues. But, could these ubiquitous chemicals help explain the drastic rise in obesity? New research conducted at Texas A&M Health Science Center found that exposure to a particular phthalate may epigenetically increase fat storage in our bodies even before we’re born. The study was published in Journal of Molecular and Cellular Endocrinology. Assistant Professor and lead author, Dr. Mahua Choudhury, conducted the study using animal stem cells and identified alterations to the epigenome of the stem cell line as a result of benzyl butyl phthalate (BBP). Choudhury and her team of scientists administered various concentrations of BBP to the stem cells. She found that lipid accumulation and adipogenesis, or the formation of fat, was enhanced the more the cell lines were exposed to BBP. Animal stem cells are undifferentiated and able to become various specialized cells. The epigenetic changes they investigated in the stem cells, therefore, could affect a fetus as it develops. They found levels of adipogenesis, as a result of the dose of BBP, could be as much as five times higher than normal. “Phthalates have recently been associated with obesity, but this was the first time we were able to show the mechanism by which BBP may cause fat accumulation and program the stem cell to become obese via an epigenetic balance,” said Choudhury. Histone modification is an epigenetic mechanism that can impact the structure of chromatin and the process of transcription, therefore adjusting gene regulation. Histone acetylation and methylation are two common epigenetic modifications that can occur via histone acetyltransferases (HATs) and histone methyltransferases (HMTs), respectively. BBP was found to increase H3K9 acetylation while decreasing H3K9 dimethylation. Furthermore, they found that HMTs, SETDB1 and G9a, were significantly downregulated by exposure to BBP. In addition, the largest dose of BBP increased p300 and GCN5 gene expression. GCN5 and p300 are histone acetyltransferases (HATs) previously shown to increase adipogenesis. Histone deacetylases (HDACs), which catalyze histone deacetylation, function as repressors or gene silencers of transcription. They found that HDAC3 and HDAC10 were significantly downregulated as a result of exposure to BBP. “These results are important, but they are just the first step in further study,” warned Choudhury. Similarly to BPA, BBP is found in numerous consumer products, including vinyl flooring and carpets. However, humans are more often exposed to this chemical via food consumption. Although it isn’t involved in the preparation of food, it can be found in conveyor belts and plastic fittings on machines that process prepared foods. It then leeches onto the food exposed to the belts and other materials. The United States has instated limits on BBP levels allowed in various products, but it hasn’t taken as strict measures as the European Union (EU). The EU has banned BBP from all toys and items for children, including banning these items from being created in and imported to the EU. BBP is even banned in nail polish in the EU, as the chemical is considered to have carcinogenic, mutagenic, and toxic effects on reproduction. For the future, Choudhury’s lab plans on studying the effect of BBP on fat accumulation and diabetes and obesity development (diabesity). One experiment will investigate exposure and diabesity in humans. Although there are numerous other factors that contribute to obesity, the epigenetic influence uncovered in this animal study may provide an additional piece to the obesity puzzle. Source: Sonkar, R., Powell, C.A., Choudhury, M. (2016). Benzyl butyl phthalate induces epigenetic stress to enhance adipogenesis in mesenchymal stem cells. Molecular and Cellular Endocrinology, in press. Reference: Texas A&M Health Science Center. Can Plastic Program Your Baby to be Obese? Vital Record. 17 May 2016. Web.